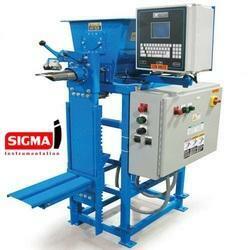 We mfg valve type bag filling machine as per customer requirements. With assistance of our diligent professionals, we have been able to provide a wide range of Valve Bag Filling Machine. Offered product is designed by our professionals with high-grade components. Owing to its quality as per the international standards, it is highly acclaimed by the customers. Moreover, we conduct various tests to ensure its quality as per the international standards. Owing to our immense expertize in this domain, we have been able to bring forth a commendable range of Valve Bag Packing Machine. Offered product is demanded in the market for its low maintenance and high efficiency. We designed this product making use of premier-grade raw material and incorporating sophisticated technologies. In order to ensure its quality, we check the offered product on different parameters. flaked, powdery and/or granular products at rates of up to 1-4 Bags/Minute. 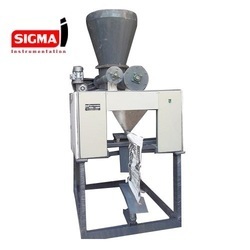 Our Model VTBFM 07 is Microprocessor controlled Impeller type Packing Machine useful for packing any free flowing powder and construction chemical powder, Dry Mortar Material etc. It packs material in valve type nozzle bags. 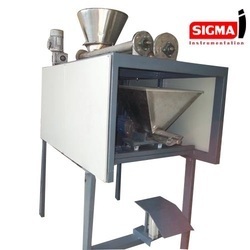 SIGMA Instrumentation organization is highly occupied in offering a huge assortment of Impeller Packer. Engineered by our accomplished workforce under the supervision of our experts, these products are ensured for their ultimate quality by conducting different quality tests on them. In agreement with the industrial set standards and norms, these products exhibit global quality standards. 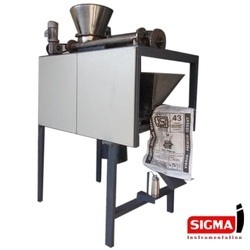 Semi Automatic Filling and Weighing. Impelller type, Electronic Microprocessor Controlled Machine. Packing Machine capacity 25-30-40-50 Kg/bag. Ideal Machine poen mouth bags of HDPE/Paper/etc. Useful for packing any powder like cement, cement paints, pigments, dyes, chemicals, flour, Soda Ash, Carbon Black,Dry mortar material , Wallputty etc. Robust design and Engineered for continous online operation. Simple Operation and settings so easily worker operating this machine. Owing to our immense expertise in this domain, we have been able to bring forth a commendable range of Valve Bag Packing Machine. Offered product is demanded in the market for its low maintenance and high efficiency. We designed this product making use of premier-grade raw material and incorporating sophisticated technologies. In order to ensure its quality, we check the offered product on different parameters. 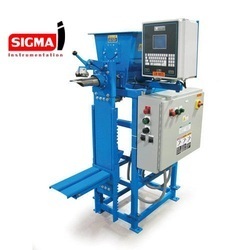 we are leading Putty Packing Machine manufacturer in industrial powder packaging solutions. machine pack all type powder like cement powder, putty powder, lime powder, stone powder, silica powder, mining powder etc. It is manufacture under the supervision of our adroit engineers using well tested components that are procured from the reliable vendors of the market and sophisticated technology. It is rigorously tested on different parameters by our quality examiners in order to provide flawless machine at clients' end. •Using independent weighing box to weigh, so it is not easy to be affected by outside factors. It is with high weighing accurate and high speed. •There are several equipments could be chose: the conveyor with different specification and material. sewing machine, sealing machine, bags clipping device. •The machine and the part where touch to the material are made of stainless steel. Valve Sack Bagging Machine Technical Specifications some below. Weight Rang: 20-50KG Valve Bags Fill Rate 1-4 Bags Per Minute (Depending on Product Characteristics and Bag Sizing) Typical Scale Weight Accuracy +/- 1% of Target Weight Control Air 80 PSI Required @ 1 CFM Per Bag Fill Cycle (Base Unit Does Not Require Compressed Air Supply) Electrical Requirements – 220 v.
Our domain expertize enabled us to manufacture, supply a commendable range of Valve Bag Filing Machine. It is engineered in accordance with the specifications laid by our clients. Keeping in their specifications, our professionals manufactured this product with high-grade raw material. 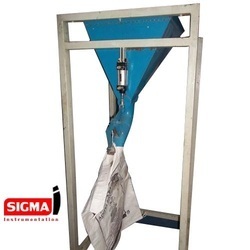 We offer that PP Woven Valve Type Bag Pack Machine is rugged and cost-effective equipment designed to handle powdered products ranging in particle size from microns to 200 mesh. Fine powders are constantly and positively impeller-fed which ensures smooth performance and tightly filled bags. 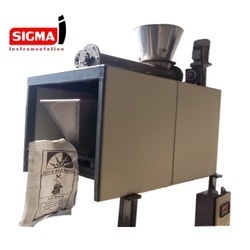 This impeller packer is designed for maximum efficiency by entraining less air, which results in faster filling rates and smaller sized bags. Finely divided inorganic solids like cement, clay, gypsum, lime, talc, sulfur dust, mine powder and rock products ranging in size from microns to minus 100 mesh. Choice of left or right hand models and multiple configurations allowing installation in tight spaces. 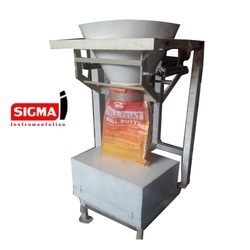 We are offering for dry Construction Dry Mortar Bag Packing Machine for customized design and capacity.